There are so many things you need to buy for a baby, and so many different brands to consider. We did a lot of research before choosing which bottles to buy for Zach, finally settling on the wide neck bottles by Dr Brown's *. We had heard great things about their anti-colic abilities and decided that we would get them as a prevention rather than treatment. Zach has never struggled with colic, and gets on really well with the Dr Brown's bottles in comparison to other brands we have tried. The bottles come in three different sizes, 60ml for premature babies, 120ml which is great for younger babies and 240ml for older babies. They have an internal vent which is a blue attachment which goes down through the middle of the bottle which prevents your baby from swallowing air. This helps to minimise colic and spit-up, meaning a happy baby! We haven't had any problems with colic or trapped wind, and we believe this is partly to do with these bottles. We have previously tried other brands of bottle which let more air in and Zach was less comfortable after using those. Cleaning the bottle takes a little longer than it does with other brands as there is the internal vent which needs cleaning too, however sterilising takes the same amount of time. We have used the Dr Brown's microwave steriliser but now use the Tommee Tippee Electric Steriliser which they also fit into. I would note that the Dr Brown's bottles are slightly taller than the other leading brands so please bare that in mind. Dr Brown's make several different teats which fit in their bottles, with different sized holes for different aged babies. They range from teats for premature babies to ones designed for those above 9 months. Personally we moved from the number 1 teat to the number 2 a bit early as Zach was struggling with his milk, however at 5 and a half months he is not quite ready for the 6+ months teat. We would definitely recommend the Dr Brown's bottles, and we believe that they are one of the reasons Zach does not suffer with colic and rarely spits up his milk. Although they take a little longer to clean, it is merely only another minute or two of your time. If your baby is struggling with air intake from their bottle I would suggest trying these to see if they make a difference. 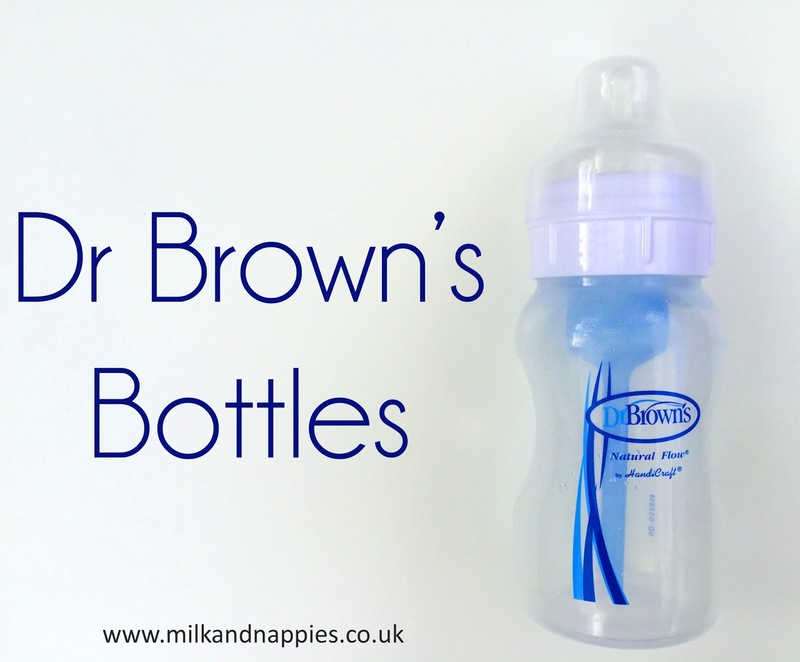 Have you tried Dr Brown's bottles?